United Way HandsOn Savan- nah held its 36th Annual Volunteer Recognition and Awards luncheon celebrating the giving spirit of volunteers who made a difference in the lives of others. Approximately 400 people attended the event held at Savannah Station. 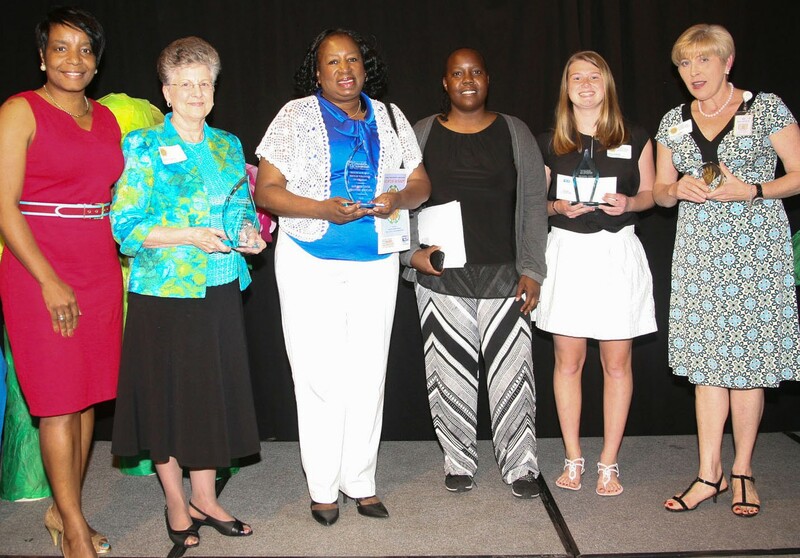 The Herschel V. Jenkins Volunteer of the Year Award, honoring the late Herschel V. Jenkins, who believed in the work of United Way and the importance of giving back to the community, was selected from winners in the above five categories. The award went to One Love Animal Rescue Volunteers. A monetary prize of $1,000 was awarded to One Love Animal Rescue. Additionally, a $500 scholarship award given in conjunction with the Global Youth Service Day Award was presented to the highest scoring youth individual in honor of their outstanding service. The winner of this is award was Emma Gibney for her volunteer service through Savannah Country Day School Volunteer Council. New this year, United Way HandsOn Savannah acknowledges the critical role that professional volunteer administrators play in each of our nominees’ service with the addition of the Shirley Sessions Volunteer Administrator of the Year Award. Shirley Sessions is a passionate and dedicated advocate who understands and embodies the power of service to make our community stronger. Ms. Sessions joined the awards ceremony to announce the 2015 Volunteer Administrator of the Year, Christy Fulcher of Hospice Savannah. Special thanks also go out to a panel of community volunteers who took extra time evaluating the nominees. Serving as Volunteer Recognition Awards judges were Todd Cellini, South University; Dan Drake, US Attorney’s Office; Michelle Gavin, Savannah-Chatham Metropolitan Police Department; Tanya Milton, The Savannah Tribune; Lisa B. Saxon, Gulfstream Aerospace Corporation; Kristie Sharp, Atlanta Regional Commission; Kendall Stiles, Georgia College & State University; and Latisha Thomas, City of Savannah. The event was made possible by our generous sponsors Critz, Gulfstream Aerospace Corporation and Sold Sisters Savannah. Special thanks to United Way Board Chair Pratt Summers, Colonial Group; Pastor Samuel Rodriguez, First Hispanic Baptist Church of Savannah; Phi Mu Alpha Sinfonia, Rho Theta Chapter, Armstrong State University; and Dave Kartunen of WSAV-TV for making the celebration a great success.